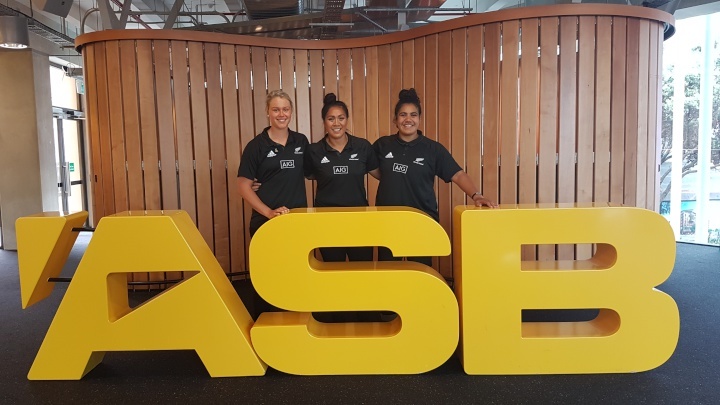 ASB today announced a multi-year partnership with the Black Ferns and Maori All Blacks teams to sit alongside its existing All Blacks sponsorship, which has been extended until 2020. ASB chief executive Vittoria Shortt says this is an important extension of the partnership between ASB and New Zealand Rugby (NZR). “ASB is proud of our partnership with NZR and a lot of this success is due to our shared values of passion, ambition and success. Together with rugby fans, ASB people and customers have enthusiastically supported the All Blacks at many games during the last three years, with the 2017 DHL New Zealand Lions Series a key highlight,” Ms Shortt says. The second phase of the ASB and NZR partnership will see the bank support the All Blacks alongside the Black Ferns and the Maori All Blacks teams. “We are proud to partner with the world-champion Black Ferns. The team are breaking glass ceilings as they elevate rugby’s international profile and we are delighted to support them,” Ms Shortt says. NZR Head of Women’s Rugby Development Cate Sexton says ASB’s support will help women’s rugby build on the momentum of the Black Ferns’ World Cup success. “To have a major New Zealand company like ASB throw their weight in behind the Black Ferns is fantastic and will no doubt inspire even more young women to take up the game,” Ms Sexton says. Ms Shortt says ASB is also looking forward to working closely with the Maori All Blacks. “The Maori All Blacks team is of significant cultural importance and a breeding ground for future All Blacks players. We admire their passion, pride and mana, and the way they honourably showcase Maori culture on the international stage,” Ms Shortt says. The new sponsorship term will see ASB back the All Blacks as they compete at the 2019 Rugby World Cup in Japan. ASB is proud to support NZR and has sponsored the All Blacks since 2015, and the ASB New Zealand Rugby Awards since 2016.